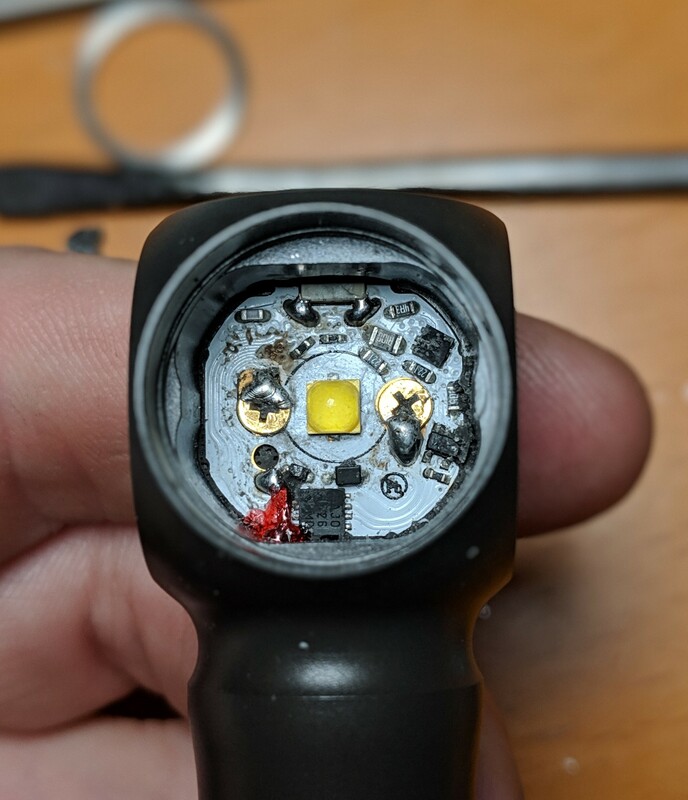 Got done with an emitter swap on my S1R II Baton, used a filed down Convoy S2+ DTP board with a 90CRI Nichia 219B 5700k emitter. I got far too involved with actually doing it that I didn’t take any photos apart from the filed down DTP board installed in the light itself, and it was a bit of work filing down the edges of the board to fit but once it was done it went in smoothly. Most people have reduced the thickness of the board itself to compensate for the extremely thin stock board that comes in the S1R II, I chose to file down the white plastic cup the TIR lens sits in instead. It allowed the TIR to sit flush with the emitter board and the opening was just the right size for the whole emitter to sit within the lens. Fully assembled the bezel ring sits flush without any gaps. Nice! Of course I forgot to center the ring. A minor detail, but if it bothers me enough over time I’ll end up fixing it. One thing of note is that it gets very hot now compared to stock. Running it on turbo the head gets near D4 levels of hot after some 30-40 seconds. Not hot enough to burn, but extremely uncomfortable to hold near the head. Given it’s a marginally noticeable bump between high and turbo and doesn’t get nearly as hot nearly as quickly when on high, I’ll limit turbo to quick blips here and there. 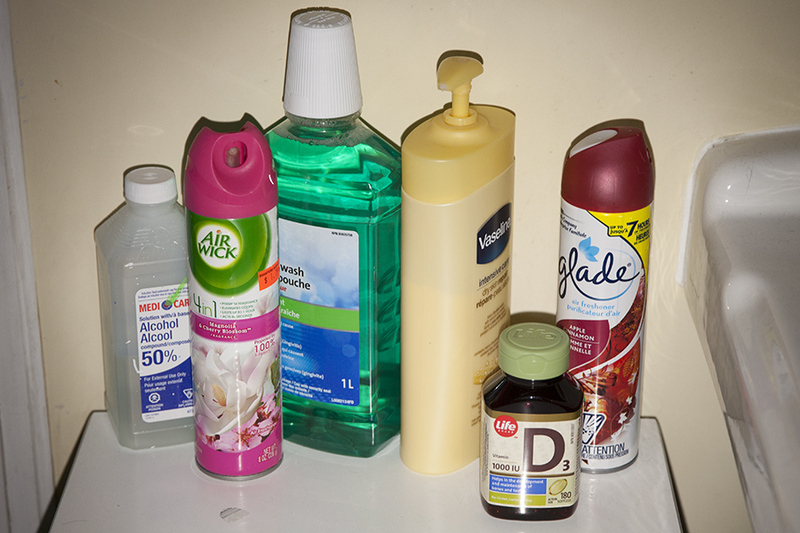 Here’s some comparison shots, photos taken at 5000K WB, color corrected for 0 green/magenta tint shift. Needless to say if it were easier to remove the bezel ring on the S2R II I’d do an emitter swap on it in a heartbeat. Nice job! That’s probably actually a preferable method for Nichia LEDs since they tend to have a slightly lower optical reference. What tool did you use to pop off the bezel? Used this video as a guide with a utility knife, regular knife, and then a flat head screwdriver, tapping the head of the screwdriver on the back of the knives to slowly wedge the blades in. It was a lot easier than I had expected. 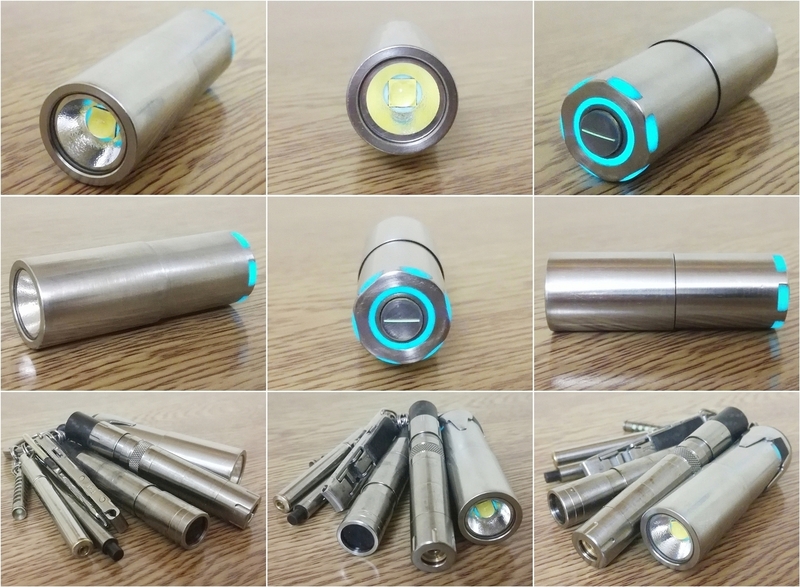 FourSevens Atom XHP50.2 3v K2 2A - H17-F - 16340 - RV Clicky Tail Sw - 2500lm. That’s awesome. Do you have any idea what the turbo current is on the S1R? I am planning on swapping the emitter to the SST-20 3000K or 4000K, maybe to a Luxeon V2 4000K if the output suffers too much from the high CRI. 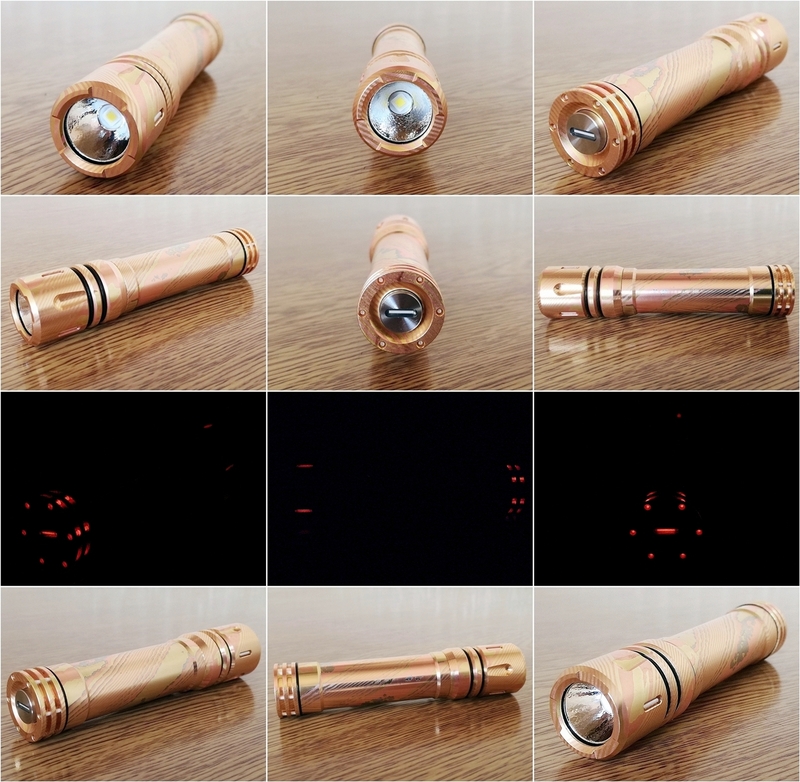 Reylight LAN Mokume Gane with electronic tail switch, D4v2 ramping firmware driver, emitter swap, extra copper heatsinking and all tritium vials installed. LAN Mokume Gane XP-L HI v2 5000K - FET 15+1 D4v2 - 14500 - Electronic Tail Sw - 1300lm. LAN Mokume Gane XP-L HI v2 5000K – FET 15+1 D4v2 – 14500 – Electronic Tail Sw – 1300lm. Verry nice! I like the red trits also, are they visible enough compared to ice blue or green? Yeah I thought red would go nice with the light. Might just be my eyes but in the dark the red trits are almost as bright as the green vials, really noticable to me. Other colours are a lot dimmer. e-switch in the tail? What, how? Do you have any details? mb-microtec in Switzerland has been making tritium vials for 50 years, they say the red is the lowest visibility with the green the highest, the above chart is taken from the mixglo site but I think it may have originally come from mb-microtec. I do see differences but they don’t seem as exaggerated as the chart would indicate. Did you know that Tritium is also called Heavy Hydrogen? or H3? And that it’s unable to penetrate human skin? Or that it breaks down (decays) into Helium? In a watch with 14 Tritium vials, there is not enough radioactive material present to harm you any more than eating banana’s! (That’s IF you could ingest all the Tritium from the vials at once which is virtually impossible) The potassium in banana’s decays into radiation, so if you eat banana’s every other day you will have a low radioactive glow about you. I have all 9 of the colors listed installed in my Titanium X6. With 2 Green as separators. Thnx! That was a interesting read. Not totally sure, someone more knowledgeable could probably chime in. My best guess is somewhere between 3-5A. 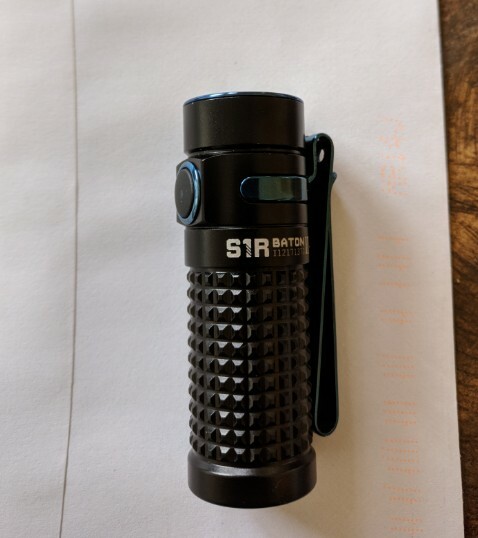 The Olight 16350 the S1R II comes with is a 550mAh battery rated for a 10C discharge, so peak output for the battery should be around 5A at full charge. The output isn’t 1000 lumens with the LH351D, but it’s not terribly far off judging by eye. I have no real means to measure current or output. Last night I took a Lexel D4 aux board and manually replaced all 15 LEDs with different colored ones. Those 0603 LEDs are absolutely tiny! Even with the fan on the hot air gun of my reflow station set to minimum it was still enough thrust to blow those miniscule LEDs right off the board from 6 inches away when they weren’t soldered on. After some trial and error, I finally got technique going where I held the LED in position with tweezers in my right hand while blowing hot air on it with the hot air gun in my left hand. Took me a couple hours to replace all 15 LEDs. Thanks! I’m hoping to get at least 800 lumens on turbo with the LH351D 4000K 90CRI. I ordered 14×1 mm mcpcb’s from AliExpress so then I’ll give it a go. I fitted my NiteCore TIP Cu with a LH351D and it instantly transformed the light. Very nice mod! Whats the output like after the mod? Will you put a clear lens on it afterwards? Custom 5A linear driver running 5x CN5710’s (in dual channel: 1+4) and a Attiny412. Has programming pads for easy flashing. Running TomE/TK’s RampingIOS. Also put in a 1mm² White Flat from Hank with his gasket. Can you tell I’m a sucker for symmetry? I did a few before & after numbers, along with my B158 and L2 for comparison. The beam, while a bit cool from the White Flat, is tight and beautiful. I didn’t play with the focus. It’s possible it could be better with some adjustments, but I’m pretty pleased. These CN5710’s don’t like very high frequency PWM. Spec is max 2kHz, which is what I have it running at. I tried them briefly at 13kHz and they really didn’t like that. If I put these in a light I planned on using on low very much, I’d use a digipot to dial in the amperage. Lux measured at 5 meters on a cheap UNI-T meter from Banggood. 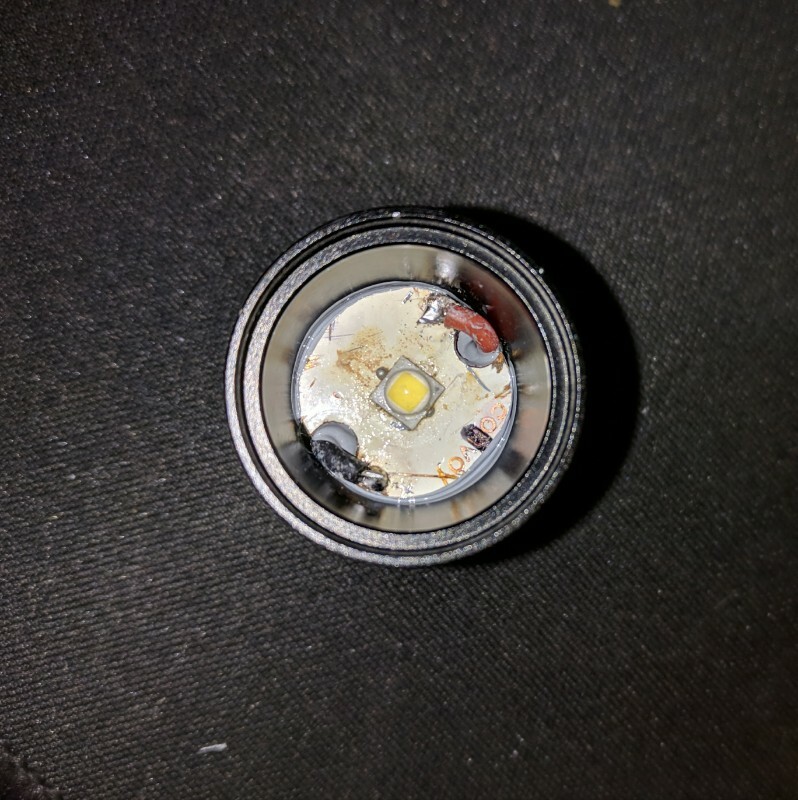 Output with the sw45k is about 135 lumens, down from 235 lumens with the stock XP-L2, which is significantly lower than Zebralight’s claimed 320 lumens. All their frosted glass headlamps seem to measure 25-30% lower than spec for whatever reason. 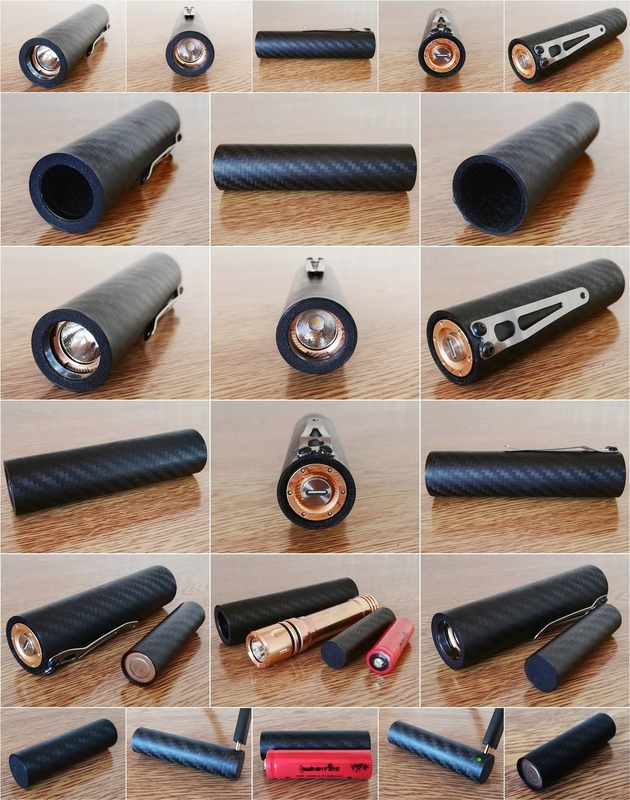 The H53Fw is rated only 10 lumens lower than the H53w, which is clearly incorrect given the frosted lens drops the output almost 10%. 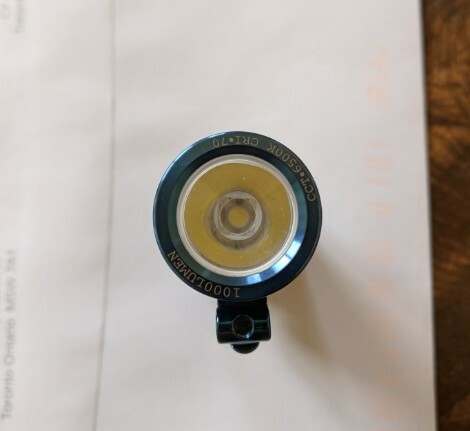 I replaced the lens with a stock frosted Zebralight lens. The 219B has a fair bit of egg yolk in the small reflector, but it’s completely eliminated by the frosted glass and looks awesome. I wouldn’t mind a bit more output, but this was more a proof of concept than anything. 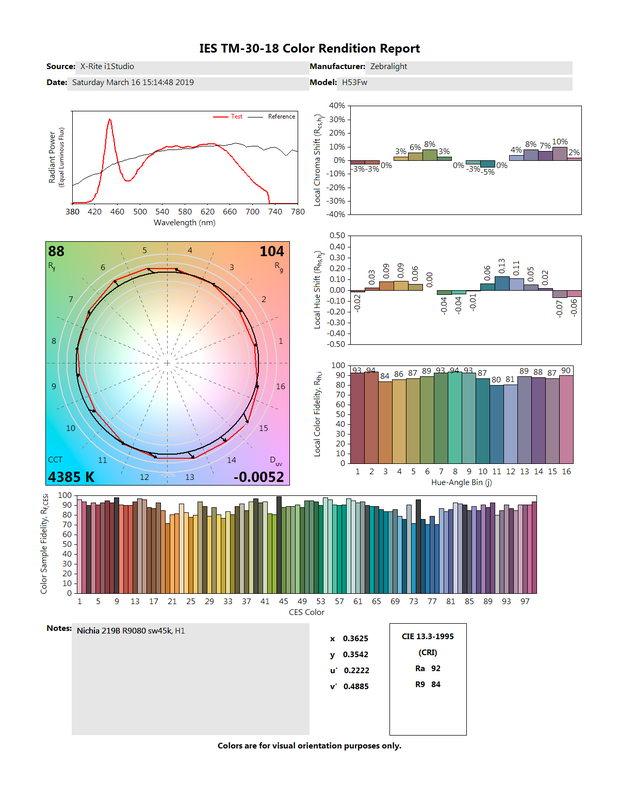 I think a dedomed 5000K LH351D would be perfect in this light. I am really fond of this little light and would like to try other AA Zebralights. These CN5710’s don’t like very high frequency PWM. Spec is max 2kHz, which is what I have it running at. Protective carbon fibre felt lined holster & spare cell carrier/ charger for the LAN Mokume Gane. Nice stuff (as always) CRX. 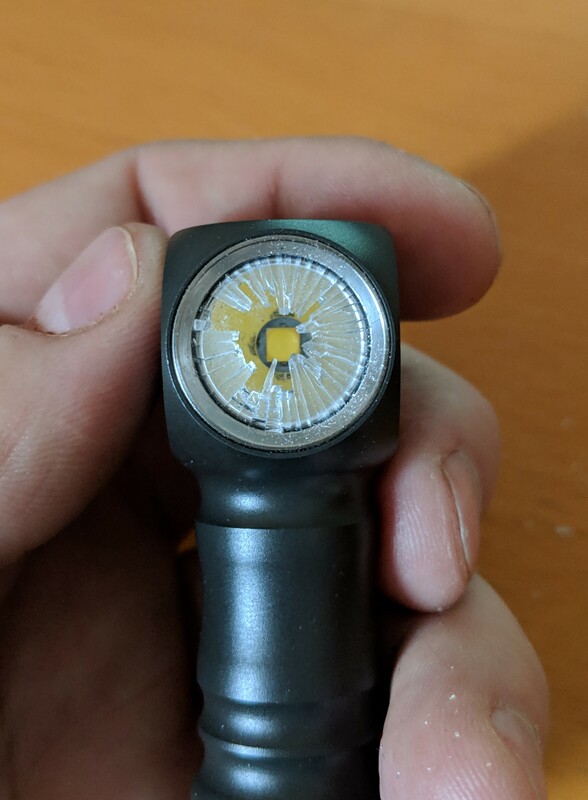 My mod today is nothing so ambitious, just an upgrade of my D25 Headlamp from its original basic 5-levels+hidden modes to a stepless ramping UI. Thanks to the efforts of gChart, who effectively remapped the original (PIC?) 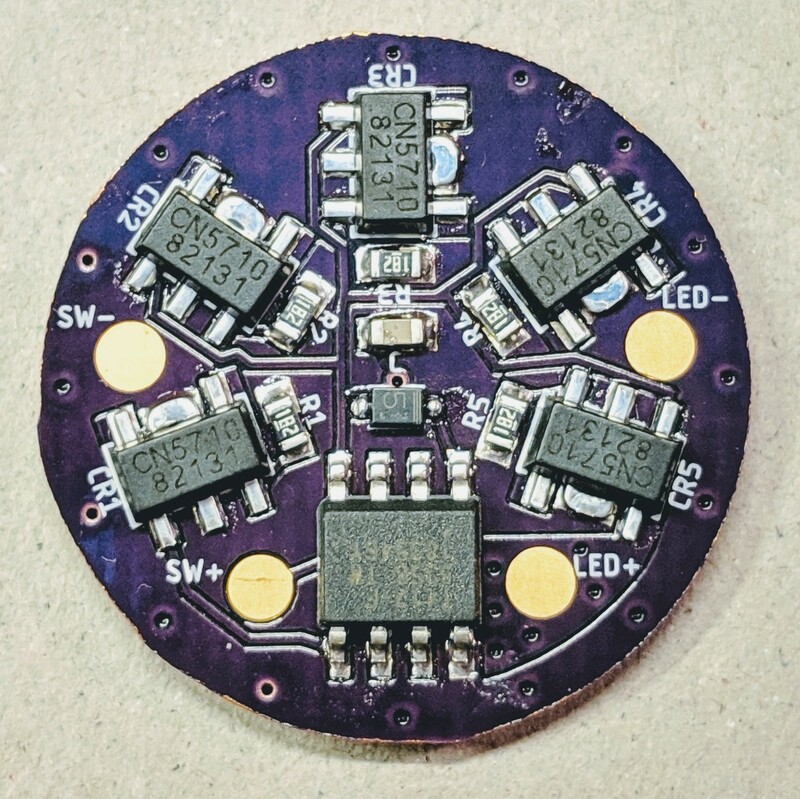 MCU to a similar footprint Attiny412 MCU, and ported/re-flashed the MCU with TomE/ToyKeeper’s excellent (D4?) RampingIOS – the D25 has gone from meh to awesome! direct access to both Minimum (long-press from Off) and Maximum (double click) from Off. Love the collaboration with members here pc_light. Nice work. 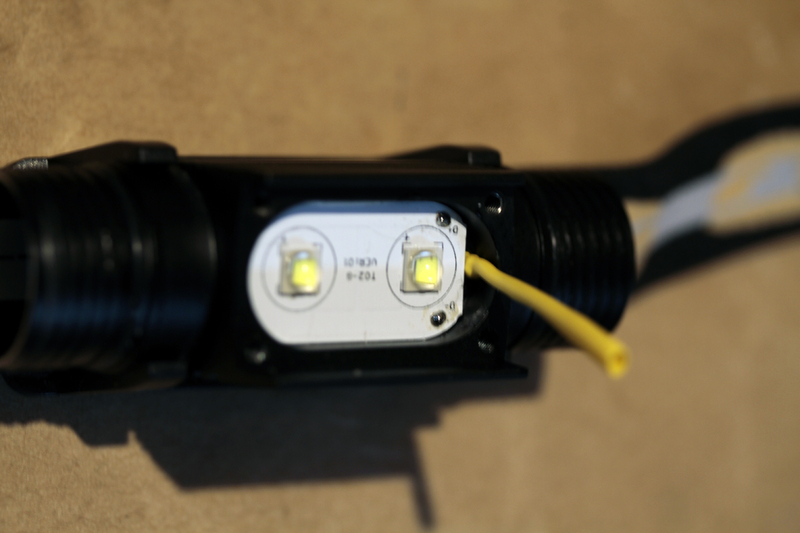 At about half the output with the 219b, looks like the LH351D dedomed would indeed be a good option for this light. Do you think you will swap one in to replace the 219b in your H53fw? Thanks but gChart did the heavy lifting. FWIW, here’s a trick I used for this mod that has helped with similar mods involving complicated wire paths. I wrapped a piece of shrink tubing around the LED lead wire ends before pulling the electronics module out to solder. The tubing gives me enough slack to work on the driver and I can simply pull the lead wires back through afterwards without having to thread inside the tube. Love it, pc_light and gChart what you guys did!! 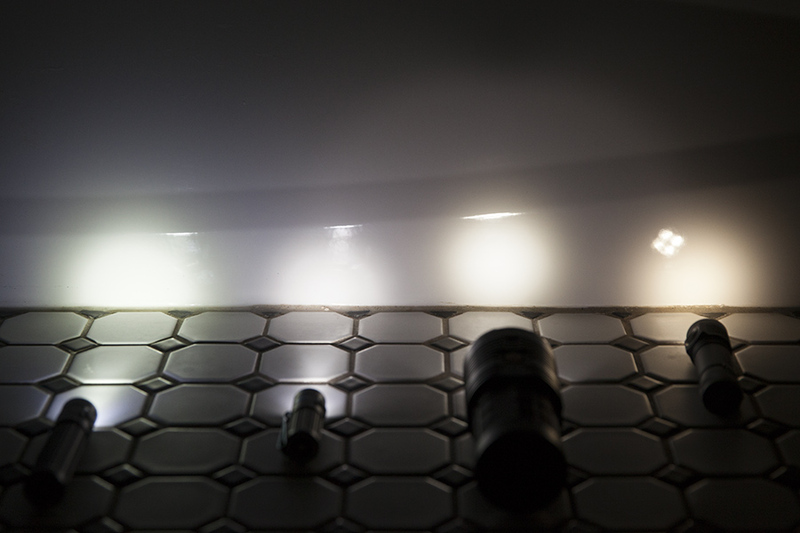 These are one of the best regular priced deal lights around, for these 2 styles of headlamps! I got one of each now, 2 headlamps for like $26 total shipped, and they are moddable, very lightweight so very practical, and of course e-switch so we can run our best firmware. All around a true moddable winner! I really have to control myself from ordering a case of these things, of course knowing that's a lot of mod'n... But actually, your mod of a MCU replacement is about as easy as it gets, as long as you have the capability to reflow an SMD. $12 for the single LED, $14 for the double LED.